At By Grace Cakes bakery, we strive to deliver decadent sweets with high quality ingredients. This past summer, I was given fresh picked, organic raspberries to use in my baking, so I unsealed them today to make a raspberry stuffed, gluten-free bundt cake. This dense cake is made with wholesome gluten-free flour, our own free range eggs and Michigan raspberries. The finished cake is then dusted with powdered sugar and drizzled with white and milk chocolate. Yum! 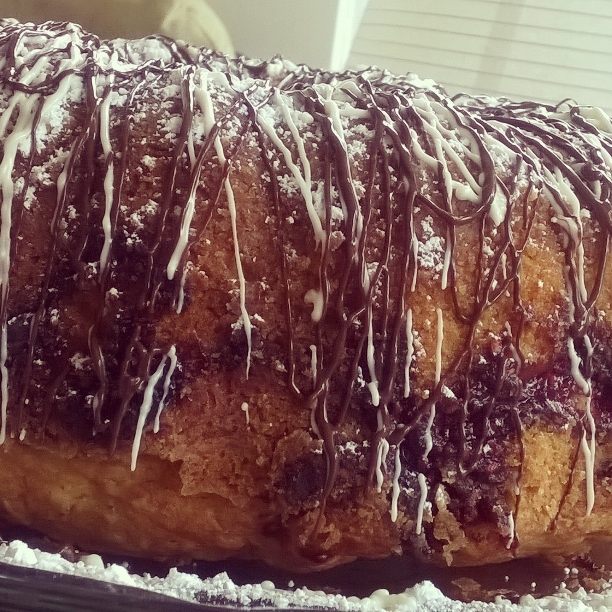 Raspberry Stuffed, Gluten-Free Bundt Cake. Available at the By Grace Cake bakery for 14.99.